Speaking of Women's Rights: When does a free market not equal a free ride? It’s been a month since the 9th Circuit Court of Appeals ruled in our clients’ favor in the pharmacy refusal case, and we’ve settled down a bit. What a relief. Getting the decision exactly one year to the day from oral argument was poignant, but earlier would have been better. Of course we’re pleased with the decision: it was a win on virtually every element of the case! The appeals court set out the standard the trial judge must use as the case moves forward, and it’s precisely the standard for which we advocated. Mind you, the case isn’t over. The plaintiff anti-choice pharmacy and pharmacists have asked the appeals court to rehear the case. We think it seems unlikely such a clear, decisive opinion will be reconsidered, but it’s their right to ask. And maybe they’ll ask the U.S. Supreme Court to review the decision. Again, it’s unlikely the Court will accept a case that is still in its preliminary phase (I know, I know, it feels like it should be over by now), but you never know. Keep your fingers crossed. Ever since we started this case, it’s been clear that most people in our community – and indeed, polls show most people around the country – believe our position is the correct one: patients are entitled to receive their lawful medications, and pharmacies should not refuse to provide them. Various media editorial boards and scholars (nerd alert!) support our position. But not everyone agrees. Some people assert that a business should not be forced to provide a medication (or any product) of which it disapproves. Let the market be the driver, say these folks. If the people want a certain item, they can go to a business that provides it. It sounds appealing, perhaps, until you really analyze it. Now, we’re not saying that every business should have to keep every known product on its shelves. If a halal or kosher market chooses not to provide meat that is forbidden by the religion of the owner, we would certainly not assert they must stock and sell that meat. And there are exceptions to the dispensing requirement in the pharmacy regulation that take into account things like fraud, lack of demand, etc. But that is not what’s at stake in the pharmacy context; indeed, context is what matters here. What distinguishes pharmacies from grocers is that the pharmacy owner or pharmacy has entered a highly regulated, licensed industry and profession. She is permitted to practice pharmacy: it’s not an entitlement. 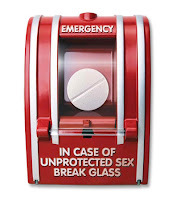 Lots of reasons exist for the stringent regulation: the danger inherent in drugs, the intimacy of the interaction between the pharmacist and the customer, and – especially when we’re talking about emergency contraception – the immediate need for the medication. The consequence of entering the field of pharmacy is that you can’t substitute your judgment for a doctor’s or, as in this case, for the government’s determination that the public health is enhanced by patients’ being able to get their medications immediately. While grocery and butcher stores are regulated to some degree by the government, they are not in the business of health care, while a pharmacy is. At the core of medical professionalism is the requirement that practitioners give patients’ needs primacy. Refusals not only jeopardize a woman’s health and well-being, they can also interfere with the patient’s moral values: what if a woman is opposed to abortion, but knows the reality that emergency contraception is just that – contraception? Refusing to provide EC could place her in the position of deciding between an unwanted (and entirely avoidable) pregnancy, and undergoing a procedure to which she is morally opposed. The pharmacy owner has imposed his moral views on the patient, in violation of his ethical and professional obligations. The bottom line? Pharmacy owners are in the profession of health care, and the government not only can, it should regulate that business. Otherwise, what does “public health” really mean?